Smashbox cosmetics started as a small studio line in Los Angeles. A company that started with the goal of bringing some Hollywood glamour into the daily lives of women everywhere, it has grown into one of the top beauty brands in the world. Smashbox products are available at Nordstrom and Sephora stores, and at many top online beauty sites. Smashbox.com: Shop directly from the brand's website to find the latest products and largest selection. You'll also find tools like primer and foundation finders and you can sign up to be a member of their loyalty club to get exclusive access to their Final Call (sale) products. You can also check the brand's store locator for your closest retail locations. 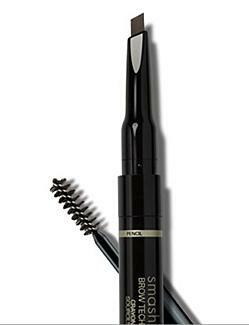 Sephora: At Sephora you can browse by makeup, skincare product, or tools. A great feature of shopping here is that you can quickly see Editor's Picks and Best Sellers at a glance. Amazon: You can find discounted prices on some products, and some quality for free super saver shipping at Amazon. Ulta Beauty: Ulta frequently has free shipping offers when you spend $25 or more. Another good reason to shop this beauty superstore is that it carries some Smashbox products exclusive to Ulta. E Cosmetic World: In addition to shopping for specific products, you can quickly see Featured makeup and New Smashbox product picks when you shop here. Nordstrom: Shop Smashbox makeup according to face, eyes, lips, and other simple selections, then narrow by item type and price. This award-winning cosmetics line offers an extensive collection of high-end products. Whatever you need, Smashbox has it. Face: Famous for their comprehensive line of primers, Smashbox also has a full selection of foundation, concealer, pressed powder, tinted moisturizer, and bronzer. Face products are available in the full spectrum of skin tones. Cheeks: Smashbox has a number of blushes, bronzers, and highlighters available in cream and powder form. O-Glow is amongst their most innovative products, acting with your natural chemistry to provide a rosy glow to any cheek. Eyes: For eyes, Smashbox offers an array of brighteners, primers, shadows, liners, mascara, and brow products. 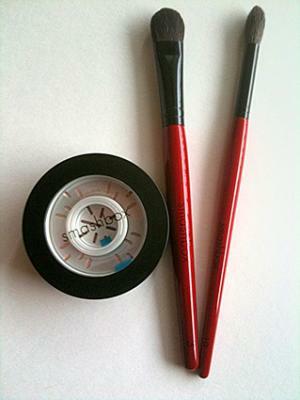 Their waterproof kohl eyeliner, available in several shades, is one of their most popular products. Lips: Lip stain, gloss, stick, plumper, and pencil are all part of Smashbox's line of lip products. All are available in the classic range of reds, pinks, and nudes, as well as some more daring shades like electric pink. Be Legendary Long Wear Lip Laquer is a customer favorite. Tools: Smashbox makes a full line of brushes to complement their cosmetics so you can always be sure you're applying products with the right tools. Palettes and Kits: Smashbox offers several palettes and themed kits. They are aimed at helping customers achieve specific looks, like the Cover Shot Kit filled with essentials recommended by makeup artists to get an editorial look. As a studio based company, Smashbox emphasizes technique as much as product. They offer instruction and tutorial videos on how to create specific classic and trendy makeup looks on the Get The Look section of their site. They tell their customers what products they need and how to apply them so they can achieve the desired style. Dean and Dan Factor, great grandsons of the legendary Max Factor, created Smashbox Studios in Los Angeles in 1990. Dean, a businessman, and Davis, a fashion photographer, combined their talents and connections to turn the studio into Smashbox Cosmetics in 1996. Over 15 years later, they remain true to their original goal of bringing top-of-the-line cosmetics and sharing insider secrets, tips, and trends with women everywhere. A favorite of models, celebrities, and regular women worldwide, Smashbox truly stands out as a unique and inspiring brand amongst many of the more established beauty lines.